In an 1877 decision of the Supreme Court of Puerto Rico allowing Juan Forgas, then owner of Haciendas Luciana and Cristina, to use water from the Jacaguas River for irrigation, it is stated that in 1870 Luciana was owned by Juan Forgas whose legal representative at the time was his nephew José Gallart Forgas. José Gallart Forgas was born in Gerona Spain on July 29, 1829 and emigrated to Puerto Rico in 1842 at the ripe age of 13. After arriving on the island, by his own merits or by inheritance from his uncle, he acquired ownership of several haciendas including Luciana, Cristina, Reparada Serrano and Central Fortuna . 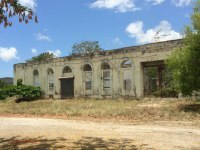 In the same decision, it is stated that Juan Forgas acquired the 280-300 cuerdas Hacienda Luciana on July 3, 1854 from José Pou Pecamius who in turn had acquired it from the estate of Juan Antonio Rodriguez in 1848. The 352 acre Hacienda Cristina was adjacent to Luciana. Forgas became 100% owner of Cristina by acquiring 1/3 interest in 1863 from José Maria Alfonso, 37% interest in 1865 from Mariano Villaronga, 5% from Joaquin Pastor Márquez and 25% interest in 1866 from Cristina Villaronga. 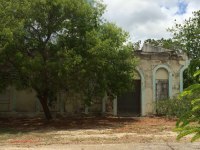 In the 1916 Report by the Commission of Industrial Relation on the island it is reported that at the time, Luciana was owned by the Guanica Central . Today the remains are abandoned and not in use, the surrounding property is being used by a government agency.